Bitten by the road trip bug, our whole family embarked on yet another trip. 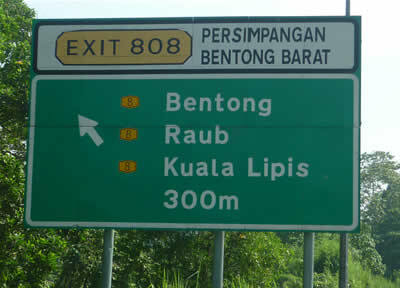 This time to several small towns of Pahang: Bentong, Raub, and Kuala Lipis. After rounds of invitation and confirmation, only my brother Eric managed to join us. We had only one weekend to spend: two days one night. The trip started on Saturday, August 28th. For reading convenience, the trip is logged chronologically – as follows. After the trip, we asked J and K about what they liked most about the trip. J said the waterfall. While K can’t keep to one answer, his first answer was the zoo.